The Teenage Market in Blackburn is made possible by Blackburn BID. 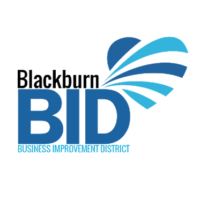 A Blackburn Business Improvement District was identified by the Blackburn Town Centre Partnership as an ideal mechanism to develop a dynamic business environment in Blackburn town centre. The four themes which are being addressed by the Blackburn BID include; marketing and promoting Blackburn as a vibrant town centre, creating a safer, more secure town centre, creating a sustainable, cleaner and more attractive environment, and attracting and supporting businesses. Blackburn BID invests in local projects and services under these themes, in addition to, and complimentary to, the services already delivered by the local authority and other agencies, and planned strategic investments in the area such as the Cathedral Quarter, new bus station and expanding college campus. There are currently no upcoming Teenage Market events in Blackburn.